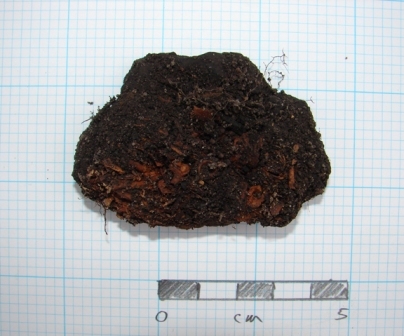 Occasionally while excavating an archaeological site in Minnesota the archaeologists come across an especially unique and interesting feature. 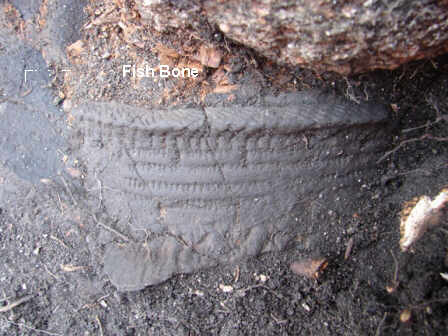 In 2009 while excavating a site in Beltrami County the archaeologists from Two Pines Resource Group uncovered a fragmentary late woodland ceramic vessel that contained a large amount of fish bone. This was unusual for a couple of reasons. First, fish bone is so fragile it is often not preserved and second to actually have the recognizable contents of a vessel still present is a rare occurrence. The only other similar occurrence I’m aware of here in Minnesota happened about twenty-five years earlier at another site on Forest Service land in an adjacent county where Hohman-Caine & Goltz recovered another Blackduck vessel with fish remains sandwiched between broken rim and body sherds of the vessel. The Beltrami County site, located on a low terrace at a lake outlet, was a seasonal fishery location. During the Woodland Period populations tended to move around the landscape throughout the year to gather seasonally available resources. In the late winter and early spring spawning runs of fish, like northerns and suckers, out of lakes and into streams, were an easily exploited resource. After a long winter the people were relieved to again have access to an abundant food source high in protein. It is assumed that many of the fish were netted, based on the fact that most of these fishery sites are located at locations where the stream channel is constricted in size and shallow. Many of these locations also have boulders in the stream bed which would facilitate the construction of fish weirs to easily trap the fish. 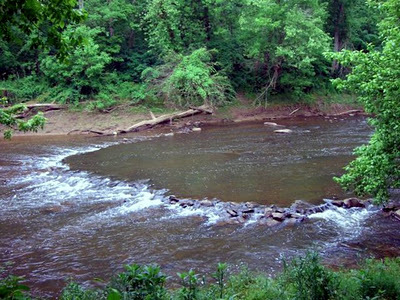 Archaeologically these fishery sites are generally characterized by a small number of lithic artifacts, likely because the fishing activities did not rely heavily on stone tools. Bone or antler harpoons are occasionally found. There are a large number of ceramic vessels showing heavy use as cooking vessels, many with carbonized residue or discoloration from the cooking process. And if conditions are right, deposits containing layers of fish bones and scales. A number of archaeologists have also noted the soils at these sites are very dark and “greasy”. The greasy soil is the result of the intense activity that went on at these sites, where large amounts of fish were process and likely smoked for later consumption. The fires needed to smoke the fish and to keep warm in early spring generated a lot of charcoal. Grease dripping from the smoking fish would have flared up the fires but also ended up in the soil. In an article about another fishing camp site David Mather (The Minnesota Archaeologist, Volume 64, 2005) suggests that the fish guts and heads that remained from processing fish for smoking might have been used to make fish oil. The combination of large amounts of charcoal, fish remains and grease gave rise to this black, greasy soil. i found a pottery? shard resembling the fish oil pot depicted in this article. its about 1 in. wide by 3 1n.,s long. this was from an ancient camp site of our people on Lac Seul Lake, n.w. on. i would like to get this dated if possible. thank you. Leonard. 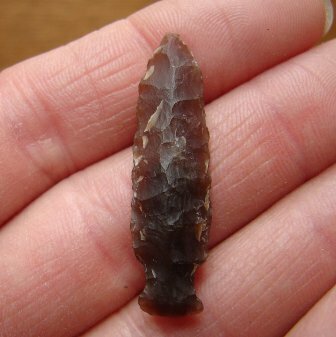 Send a digital picture or pictures of what you found to the Minnesota Office of the State Archaeologist at mnosa@state.mn.us They should be able to give you an idea as to what you have and how old it is.